Who’s ready for summer? I know we are! Check out our new Custom Sailing Belt, perfect for a summer hobby! Needlepoint it for your favorite sailor today! This is a perfect project to do while relaxing and soaking up the sun! If you like the idea of the belt, but do not have time to needlepoint it yourself, contact us for pricing. This belt is customizable, so you can use the sailor’s initials, name, or the name of your boat to customize it for your needs! This belt is available on our website now! New Custom Ring Bearer Pillow! Imagine this: On your wedding day, you are waiting for the ring bearer to walk down the aisle with you and your significant other’s rings that signify your vows of “‘Til death do us part.” Suddenly, you are look back and oops! The rings are on the floor! Don’t let that happen! Be one of the first people to stitch this customized ring bearer pillow for your wedding! The colors, names, and date on this pillow are customizable to fit to your desires! This pillow design is also available in blue with yellow ribbon! Follow this link to view our other ring bearer pillows. These are great projects for beginners! Consider a custom needlepoint golf belt. These are great projects to learn how to needlepoint, as they are fast, easy, and the needlepoint belts looks amazing! Ideas for what to put on the custom belt are: Monogram, Favorite Golf Club Logos (see our needlepoint belt design library), Golf Balls, Golf Clubs, or anything else you can think of! Designing your own custom belt is easy, simply purchase the golf belt needlepoint canvas in NeedlePaint.com’s shop, and then email us the designs, colors, and other items you would like to be included, and we will create a digital preview for your approval. If you don’t love our designs, you will not be charged! Please note, on the actual belt, the buckle will cover up more of the background color than in the preview. And the golf clubs in the upper right are followed by the tree on the lower left. 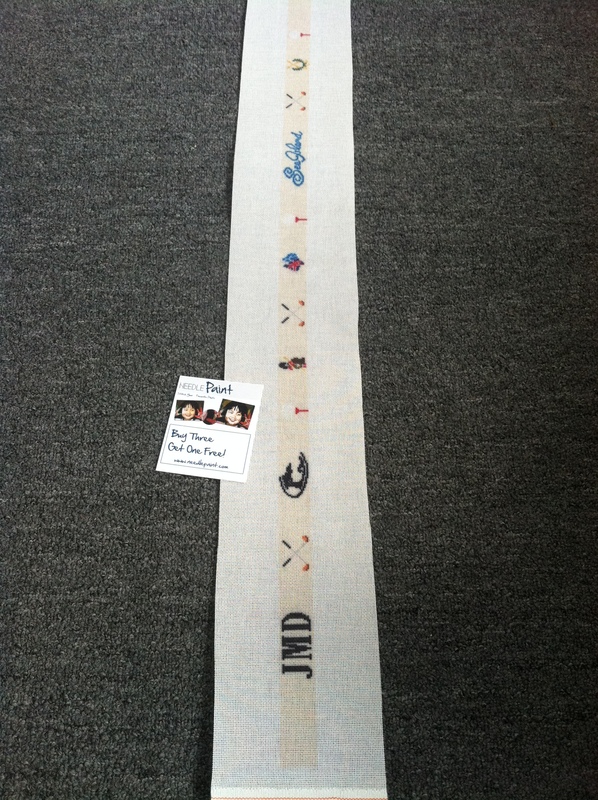 Fresh from our design team, check out this new hockey needlepoint belt! 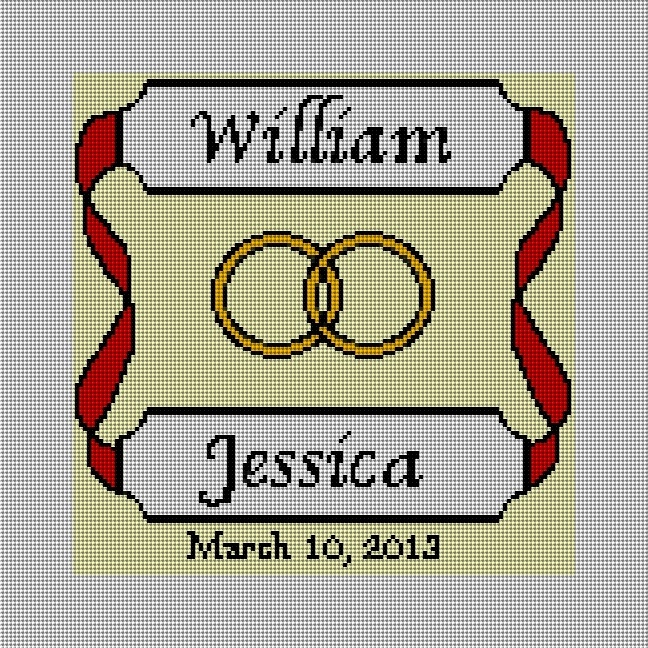 This a personalized needlepoint design so the name is able to be changed, as well as the background color. 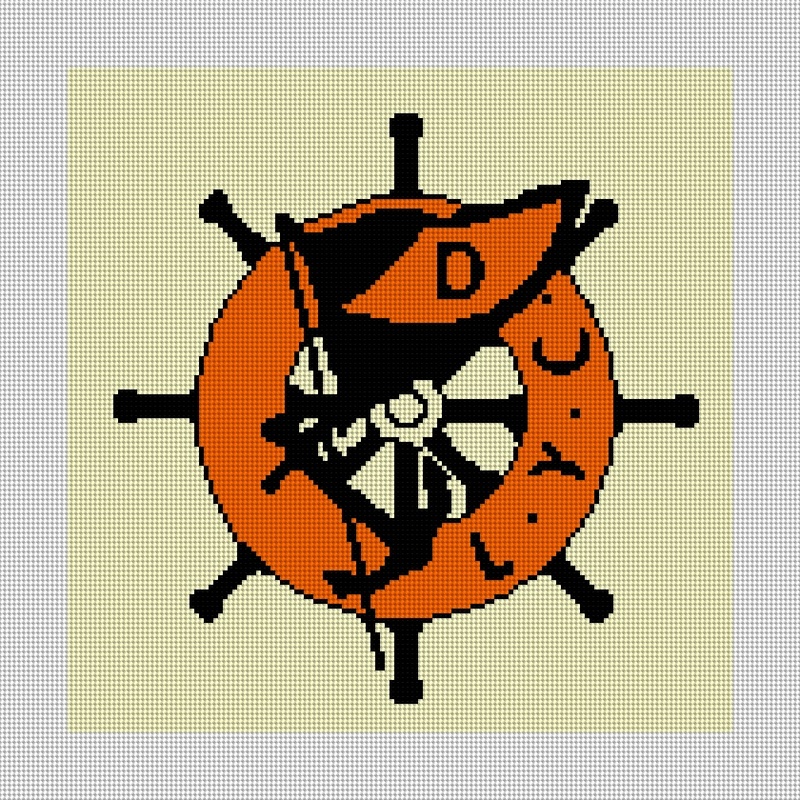 If you have a team logo, we can even include it in your design! Belts are made to order, so hop on this design! 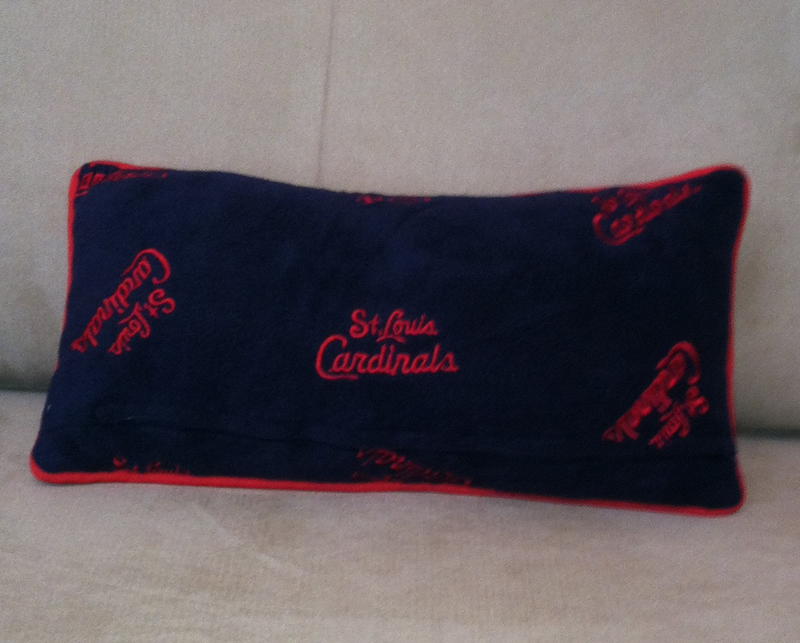 Check out this St. Louis Cardinals Rally Needlepoint Pillow, that one of our customers stitched! I love the fabric on the back that she choose, and the clean look with the piping on the front. If you have any custom needlepoint project ideas, your can try creating your own needlepoint from photo designs on our website: www.NeedlePaint.com, or email us a project, and we’d be happy to design it for you! Shopping for somebody’s birthday that already seems to have everything can be hard! 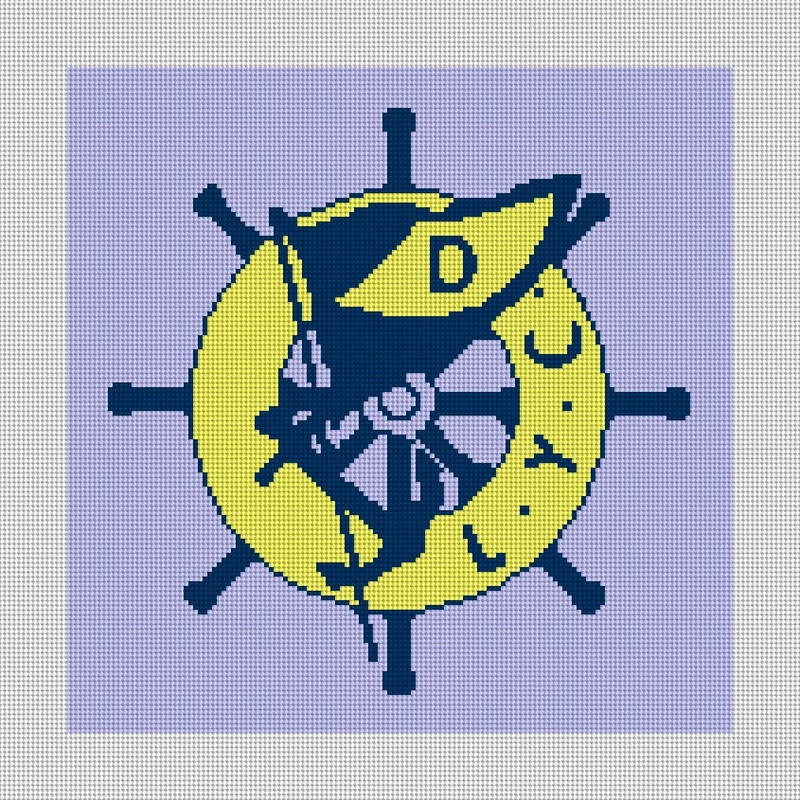 I took the DLYC yacht club logo, and created a stitch counted version that is 14 x 14 inches, on 10 mesh canvas. The first version is more traditional and used the yacht clubs colors, the second version is customized to match the living room colors! 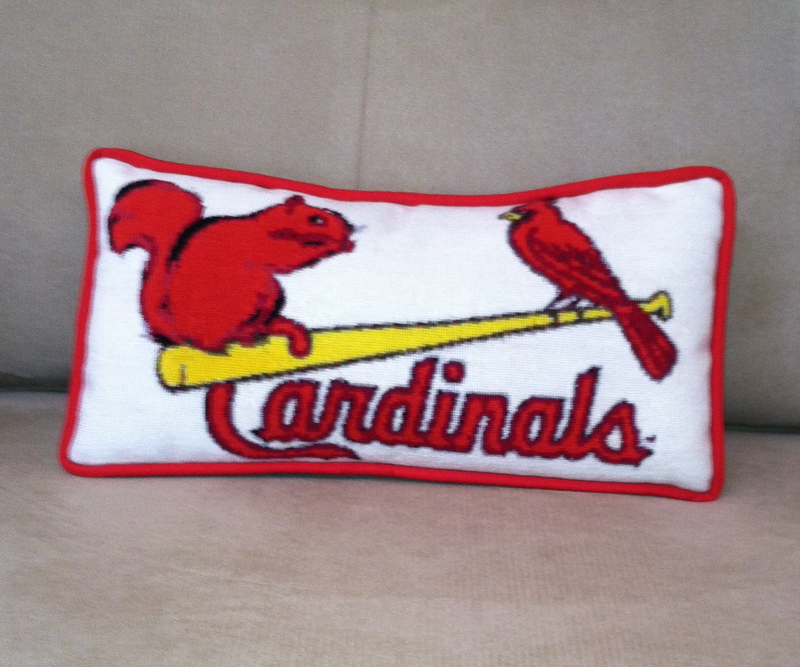 If you have a custom needlepoint pillow idea contact us about our pillow finishing service and FREE needlepoint design service (on orders over $100).